Personal Information is classified as the information you provide that can be used to identify or contact you, including: name, email, address, phone numbers, payment information and Federal Tax ID. Mr. Credit Solutions may supplement the Personal Information you provide with Personal Information available from other sources, such as public databases, data aggregators and other commercially available sources. This includes, but is not limited to, information you willingly provide to social media websites. The Personal Information we collect allows us to cater products, services and information to your personal preferences. By providing this Personal Information, you consent to Mr. Credit Solutions’ use and storage of that information. You also consent to the use of your Personal Information for research, development and analysis. This information will be used to better improve our marketing, advertising, security and other business activities. Non-Personal information is classified as information in a form that does not allow direct association with a specific person, including: your behavior and activity on our website, device information (IP address, MAC address, operating system, software, fonts, etc. ), Cookies (you may turn off Cookies in your browser settings at any time) and log information (client log in information). Consent—Information is only to be shared with your consent. Protect our operations and our customers. Investigate potential violations of and enforce applicable terms of service. In the event of a merger or reorganization, we may transfer any and all personal information we collect to the relevant third-party. Mr. Credit Solutions may share Non-Personal Information publicly and with our strategic partners. This information includes sharing the amount of clients we have helped, the number of page views our sites receive and the location of website activity. You can find additional information, opt-out or customize your preferences by Visiting Google’s Ads Preference Manager. You can find additional information or opt-out of other advertising by visiting the Network Advertising Initiative opt-out page. Mr. Credit Solutions uses Google and other third party analytics companies to analyze and better understand customer behavior on our website. Plug-ins for social networks, such as Facebook, Twitter, Instagram, LinkedIn, Google+ and others are integrated on our website. By interacting with us via social media plug-in, certain information will be transferred to the social network of choice. Thus, we are permitted to have on-going access to information from your social media profiles. Mr. Credit Solutions takes extreme precautions to safeguard your Personal Information from loss, theft, misuse, unauthorized access, disclosure, alteration or destruction. Because email is not considered a secure communication, we request that you not send private information to us via email. Mr. Credit Solutions uses third party sites to store personal information; each site is coded with Secure Sockets Layer (SSL) encryption. This secures the confidentiality of your personal information while it is transmitted via Internet. For your own protection, please use extreme caution with the information you share over the Internet. You should always use a secure browser and practice good judgment when using passwords and usernames. Mr. Credit Solutions may reject a request to change or delete information if the requests are unnecessarily repetitive, risk the privacy of other clients, or represent false information. We work hard to protect your Personal Information from any type of destructions. We will not immediately delete or change residual copies or information from backup systems. Mr. Credit Solutions will provide information access and correction free of charge. Mr. Credit Solutions may ask you to complete a survey regarding your experience with our services. Your participation is completely voluntary and is not required. By participating in a survey, you agree that Mr. Credit Solutions can use any information and responses you provide. 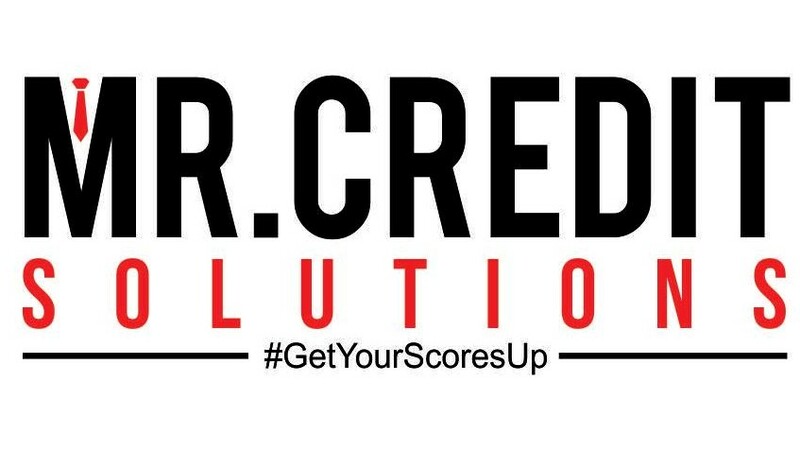 Mr. Credit Solutions will be the owner of the survey of which you provide information and you have no claim to any Mr. Credit Solutions’ services or profits. You hereby assign all intellectual property rights embodied in the information you provide to Mr. Credit Solutions. All information provided is confidential and only qualified employees of Mr. Credit Solutions will be allowed to handle the information. You represent your participation in the survey will not violate any rights or laws and will not cause liability for payment to any entity or person.